It’s hard to believe that it’s been 20 years since Watermark Learning opened for business! Yes, 1992 was a very good year. As the founder, I taught the first classes and was a solo act for a few years. Watermark mostly taught programming back then, with a few selected BA classes to complement them. My wife and co-owner, Elizabeth, actively joined full-time in 1996 and launched our PM classes and strengthened our BA offerings. Starting any business is a risky proposition, and we had no idea whether it would last 20 weeks or 20 months, much less 20 years. To celebrate this milestone in our business, we’ll be bringing you some interesting, fun, and historical facts from 1992 throughout the year. Watch for these stories, find out how they relate to our business, and look for a special feature in March marking Watermark Learning’s inception on March 2, 1992. Watch for special announcements of training discounts and other news, too. The first special is at the end of this post. NEW YORK — January 7 — American Telephone & Telegraph Co. brought the 115-year-old telephone into the video age Monday with a new phone that lets callers see each other as they speak. 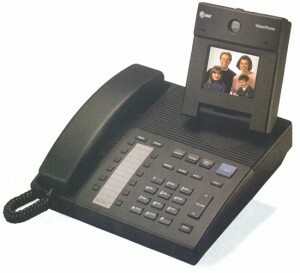 The first true videophone network was a precursor to today’s webinar technology that makes our online and virtual course offerings possible. The term PDA (Personal Digital Assistant) was first used on January 7, 1992 by Apple Computer CEO John Sculley at the Consumer Electronics Show in Las Vegas, Nevada, referring to the Apple Newton. The Newton and its successors paved the way for today’s smart phones, opening up new avenues of communication via social networks to provide instantaneous information and advice for business technology practitioners. January 22 – STS-42: Dr. Roberta Bondar becomes the first Canadian woman in space, aboard Space Shuttle Discovery. SPECIAL OFFER FOR JANUARY: Mention discount code X92J40 and receive 20% off the price of a public class in honor of our 20 years. Offer ends February 10, 2012. Cannot be combined with any other offer or discount.